I suspect that I have a fairly bad case of GAS, despite the fact that I keep writing about and advising photography students that the equipment they have is already good enough. When the Fujifilm GFX was announced I was practically dribbling with excitement, despite the fact that I am unlikely to ever own it (in my fevered imagination this was going to be the silver bullet no doubt). Now, as the rumor mills start to press and pound the imminent arrival of the D810 replacement, I think my palms are actually sweating as the days flow by. I want it! No, I NEED it! Fifteen years ago, when I know I had a serious case of GAS, I was toting a beat up Nikon F4s, an equally bashed Nikon FE (which still sits in the cupboard behind my desk), a corroded Gitzo Reporter tripod and had just hocked my life away to buy an F100 courtesy of my mentor at the time, Monty Cooper, who had arranged an enormous discount for me. My single bag of gear was filled with old manual focus lenses, some mouldy, but all still producing decent images at the time. Good enough in fact that a year later I was making sales through Gallo, Getty and Alamy images. Never in a million years would I have imagined I have the kit that sits in my cupboard today. Go back further when my entire camera kit fit into my treasured Billingham 335 bag (it turns 21 this year and used to tote two Pentax ME Supers, three lenses and a Metz hammerhead flash dangling from the side) and I start to realize that GAS really is bad for me. Having good kit does make a difference to a certain point. A master painter will do a better job with excellent paints, a good canvas and good quality brushes. Give them a rickety stand, poor quality paints and a children’s brush and although they will still be able to use it, it won’t be their finest work. They will work within the constraints of their tools to produce something good, maybe even brilliant, but it won’t be the same as if they did it with the finest materials and the best equipment. The point is that the master painter will be able to use the materials and equipment to their best ability in a way that others wouldn’t. I have no doubt that in the right hands an entry level camera will produce an image that transcends that shot from a flagship DSLR. The only difference is that the Flagship DSLR is that much easier to use to get certain types of images. A good argument for GAS is that if you only have one tool, you tend to approach every problem as if it is designed for that tool. As the old adage goes, if all you have is a hammer, then you tend to treat every problem as if it is a nail. So yes, if you have a small camera like a Fujifilm X100F, you will probably get more nuanced street photography images than with a great hulking Nikon D5 that looks like it needs an operating license before you intimidate someone with it. In the same vein, that D5 is going to trounce the X100F if your goal is to photograph a goal being scored, close-up, lit by arc lights, at a big soccer match. Both cameras can and will produce good images. They are just different types of images. Which brings me to how to overcome GAS. We tend to put what we have aside and lust for the new. By doing this we often forget how good the equipment is that we already have. Coming back from a workshop where I had been surrounded by the latest and greatest from Nikon, Canon and Sony, I decided to dump all my gear except for my Fuji XT-1 and two lenses before heading down to the South Coast with the family for two nights (full disclosure - there was also a small tripod and set of Lee filters). The Fujifilm was one of the first impulse buys I have ever made. I fell in love with the idea of it the moment it was announced. Recently though I have been a bit jaded about the camera. Particularly after playing with a friend’s XT-2 and seeing the jump in image quality and usability of the camera. Results from a morning of shooting with my Fujifilm XT-1 - an exercise in remembering why I wanted the camera in the first place and an argument of why not to upgrade. 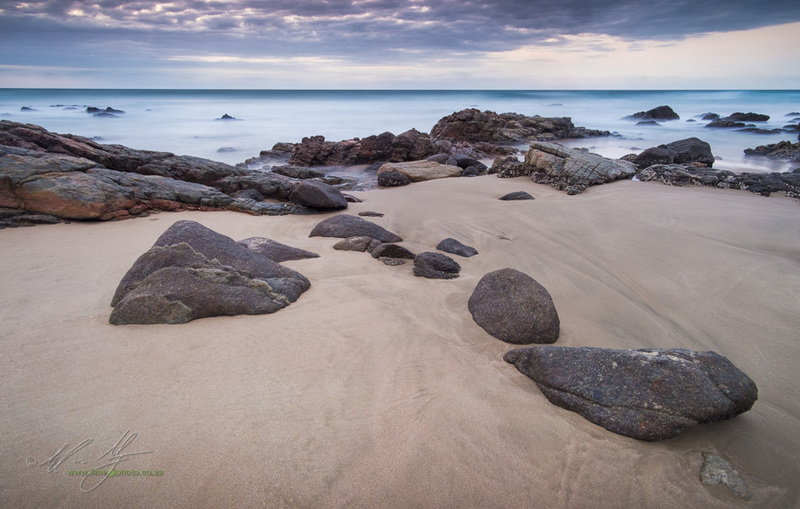 I took a walk down to the coastal rocks in the early morning and just started to play with the camera. The experience of shooting tends to be more about the image than the equipment being used. I wasn’t pixel-peeping and I didn’t need blistering autofocus (most of the images were shot on a cheap manual focus Samyang 12mm anyway). Coming back and reviewing the shots, I know that had they been shot on the new XT-2 they would probably be better from a purely image quality point of view. The composition wouldn’t have been any different though. The final processing probably wouldn’t have been different. Looking closely at the pixels I also realize that I’d easily be able to print to A3 without any issues, possibly even A2 with careful resizing and sharpening. The enjoyment of working with the camera made me realize I don’t need the upgrade. For what I use the XT-1 for, it won’t actually do anything new for me should I get the newer XT-2. I won’t create anything differently with the newer camera than I would with what I already have. The simple act of going out and shooting made me overcome any urgent GAS fix. 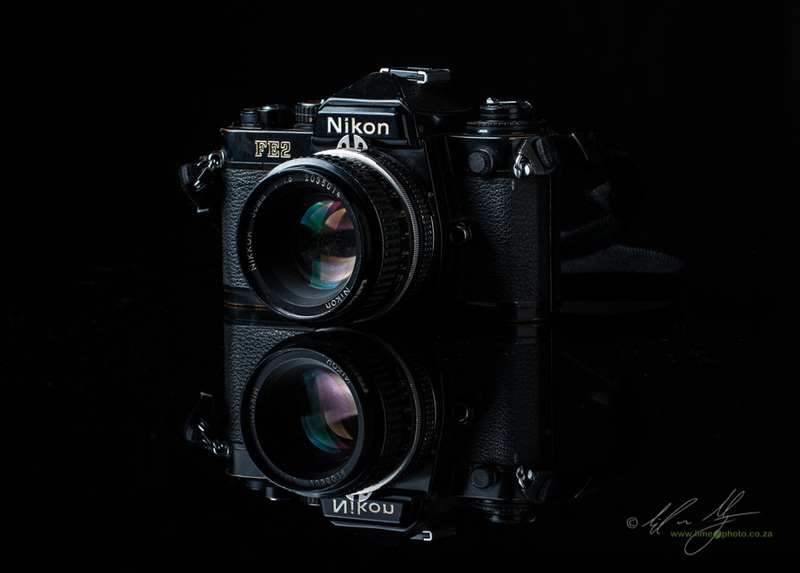 My venerable Nikon FE2 with 50mm f1.8 Ais lens - This camera was a workhouse for me for years and still has the odd roll of film put through it. If you want to take this a step further, take a step back. Most photographers with GAS have an old film camera lying in the closet somewhere. Provided the lenses haven’t gone completely opaque with mould, it’s worth digging out and putting a roll of film through it. Apart from the actual joy of working with film again, it gives perspective about the equipment we currently use. Looking at the scans from the film will also remind you how much better the equipment that we have really is. Even using the technique I discuss here in digitizing film, our new digital sensors are light years ahead of the quality that we had in film (from a purely IQ point of view…I still feel strongly that there is a different aesthetic look to certain types of film). Rather than looking for a silver bullet lens, or camera, or flash, think about buying a book, a month’s worth of lynda.com tutorials, or go on a workshop with someone who can teach you something new. Or, just plain get out and shoot some images. None of this is going to cure GAS entirely, but it certainly helps. I've tried to institute a rule now to my GAS affliction; can this new piece of kit allow me to do something that I can't with my current gear? I have to be realistic about this as well (which is difficult as it is easy to convince oneself why one needs something). It's for this reason that I am still shooting on a D800 rather than the newer D810. 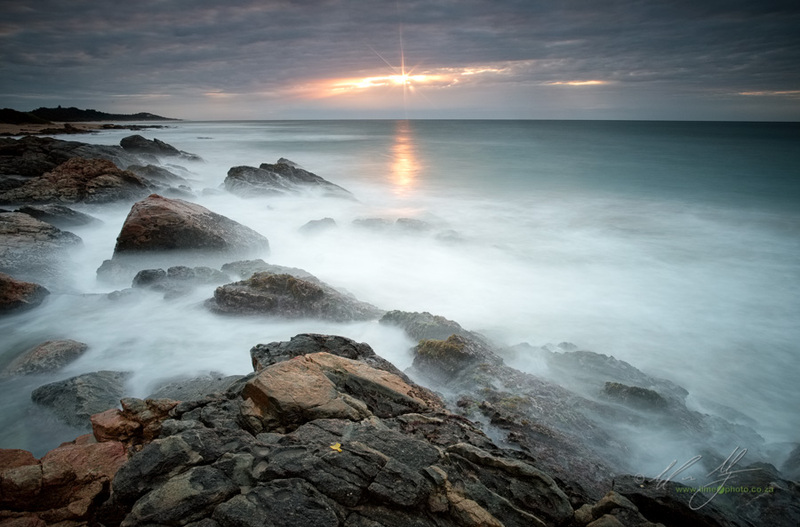 The D810 would not have significantly changed or improved the images that I was making. Now the trick is going to be whether I can refrain from selling a kidney when the D820 (or whatever they call it comes out). GAS, like any addiction, is a daily effort to fight.